The Hubbard family has a long line of hard working, farming families who have been settled in Princeton, Massachusetts since the mid-1700s. From the time he was a boy, Clayton Hubbard worked alongside his uncle, John Chandler. In 1924, he married Edith Gleason, who was from a nearby farm. Together, they founded Hubbard’s Farm. 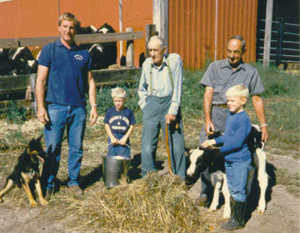 Their son Arthur and his wife Shirley took over operation of the farm in 1956. Clayton continued to work with his son for many more years. 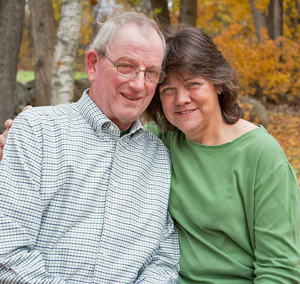 In 1991, Arthur and Shirley’s son, Brad Hubbard and his wife Nancy assumed responsibility for farm operations, which at that time was a dairy farm. The dairy cows were sold in 2000 and the Hubbard’s began selling hay, landscaping products, and wood pellets. Brad's life goal was to bring the farm up to a standard of operation that meets the market demand for quality local products, while leaving a legacy for the generations to follow. His solid work ethic saw the farm through a transitional phase. By diversifying the product mix, he essentially built the business from the ground up. His love for life and for farming the land was apparent, and his friendly personality touched all who came into contact with him. The farm continues to evolve. With a renewed interest in locally raised foods, the Hubbards decided to go back to the land and are raising chickens, beef cows and pigs. While they continue to sell hay, landscaping products and wood pellets, the Farm Store features eggs and farm-raised meats. "Just for the fun of it, we also house a variety of pets including donkeys, goats, and dogs," says Annie Hubbard. Today, four generations live and work on the premises. 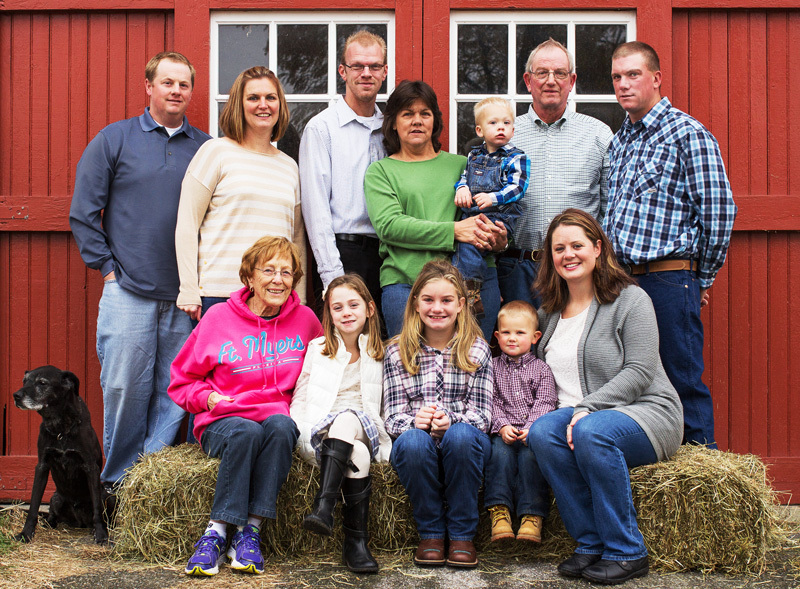 When you do business with Hubbard's Farm, you'll be treated like family too. You’ll be warmly welcomed at the Farm Store by Nancy, Annie, Andy, Clayton, or Heather.